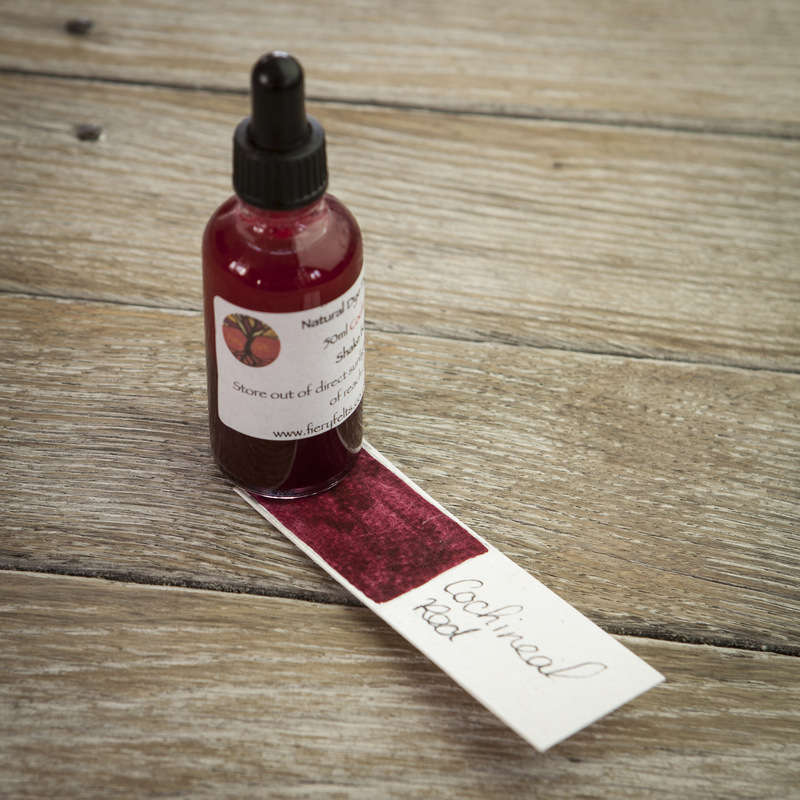 Cochineal Red Natural Dye Pigment Inks is an example of how I am always seeking to improve my inks. It is a complex ink with two dyes in it removing the need to add stannous chloride to give red, making this an eco ink. Lightfastness of 1 (see below). Mixed with the 18th Century black it gives a purple and with yellow, bright orange.